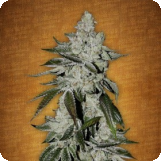 We are excited to announce the third installation of our new freebie system which now gives you a choice of 2 amazing seeds – The legendary Girl Scout Cookies Autoflowering from FastBuds or if you prefer a Feminised we have a fresh, exciting, new strain from Seedsman called Girl Scout Crack Feminised! 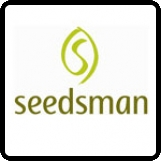 If you spend over £100 not only will you qualify for FREE shipping, you can now choose your 3rd free seed from either FastBuds or Seedsman. The more you spend, the more you get, check out the full list of our deals, discounts, free seeds and special offers now here. In fact spend £200 and get an amazing 13 FREE seeds, all from the top breeders and even qualify for free shipping if you spend over £100, and that’s not counting the other free seeds triggered by purchases from breeders on The Vault, check out it out now for some unbelievable deals! Year by year, they have been honored with multiple awards from competitions all over the world as possessing some of the best autos ever produced. 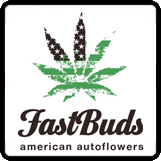 Since then, the FastBuds brand has been recognized by many of their counterparts in the industry. Additionally, their research has produced some of the highest CBD strains we have ever seen, and we are hopeful that it will also show promise in answering some of the toughest medical questions in modern medicine. The Girl Scout Cookies strain is bona fide high-quality marijuana. It is without a doubt the best Californian strain of all time because who doesn’t like Girl Scout Cookies. Currently, Girl Scout Cookies has millions of fans all over the United States, and is now going strong in Europe and Asia. Due to their obsession with the cookies, FastBuds decided to recreate an auto flower that does the cookie justice. They have selected two of the most popular phenotypes of the original Girl Scout Cookie and created an auto flower version of this spectacular plant. The result is an Indica-dominant hybrid (almost 60%) autoflower and the rest Sativa. This plant presents a very undemanding crop, but like the art of baking cookies requires time and attention. Your childhood wishes have all finally came true: cookies now do grow on trees. A cross of two perennially popular strains; Green Crack and Girls Scout Cookies, Girl Scout Crack retains the most sought after traits of both its parents. Combining the invigorating energy and focus of the sativa-dominant Green Crack with the euphoric relaxation of indica-dominant Girl Scout Cookies, this strain enables users to find a perfect balance between vitality and respite. The phenomenal therapeutic benefits of both parents are also prevalent in Girl Scout Crack, which is suitable for those suffering with pain, nausea, loss of appetite, stress and depression. As an indica/sativa hybrid, it is suitable for both night and day medication. Girl Scout Crack has a sweet, fruity aroma with purple leaves and a dense bud structure. Like both parents, the strain takes around 7 – 9 weeks to finish flowering. Go view the entire FastBuds and Seedsman. range and get yours now! Community, Competitions / Giveaways, New Seeds, Other Seeds Information, Special Offers, The Vault Cannabis Seeds FastBuds, Girl Scout Cookies Autoflowering, Girl Scout Crack Feminised, Seedsman, The Vault. permalink. Flash Offer – 24 hour discount code! Would you be promoting or sharing anywhere online? Drop an email to gary@cannabis-seeds-store.co.uk and we can chat more!